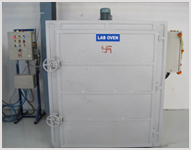 Oven can be used for water drying or paint baking or powder curing. For water drying normally oven inside temp is set to 110oC. For paint baking normally oven inside temp set in between 120 to 140oC. or powder curing normally oven inside temp set in between 180 to 220oC. 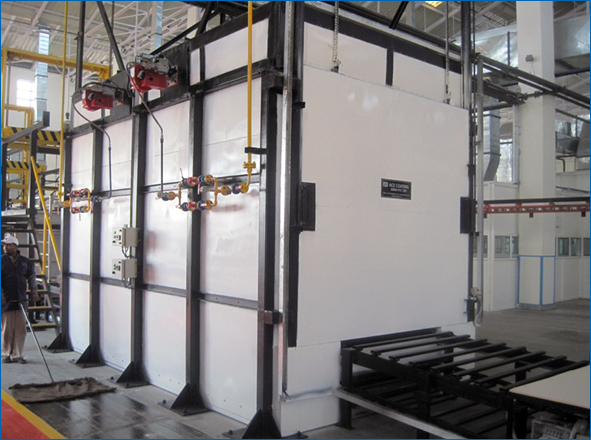 Working - Air passes over hot heat exchanger (tube & shell type) & gets heated. 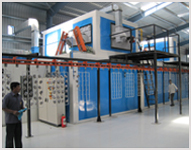 Hot air is supplied thro’ duct & flow can be adjusted by adjusting dampers. Dampers are fitted in oven at bottom throughout the length sidewise. Hot air already supplied in oven, recalculates through’ suction duct to heater box. So the time required to heat-up re circulated air is less than heating fresh air. Type of Fuels used: LPG / LNG / PNG, HSD, IR, Electricity.